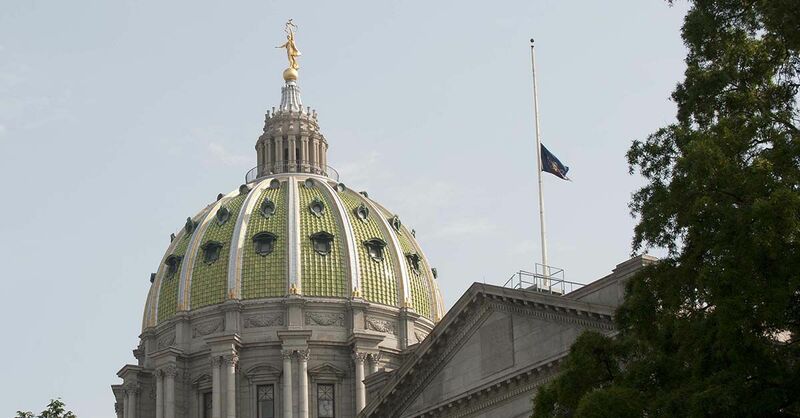 Harrisburg, PA – Governor Tom Wolf has order all commonwealth flags on the Capitol Complex, at Commonwealth facilities, and all public buildings and grounds throughout the state to be lowered to half-staff in honor of fallen Pennsylvania State Police Trooper Landon Weaver. Trooper Weaver of Blair County was killed in the line of duty on December 30, 2016 in Huntingdon County. Flags shall remain lowered until sunset on Tuesday, January 3, 2017.